Jazz up your Thanksgiving and holiday feasts this year with Ferrarelle sparkling water. What sets this sparkling mineral water apart from the rest is simply smaller bubbles. The water comes directly out of the extinct Roccamonfina volcano in the Campania region already sparkling. The natural bubbles produce a rich and fine perlage quite similar to the texture of champagne, making it taste full, rich and savory with subtle tones and a distinctive roundness. So, rather than getting a mouth full of carbonated bubbles similar to soda and most other sparkling waters, you get just the right hint, which tickles your tongue rather than overwhelms it. 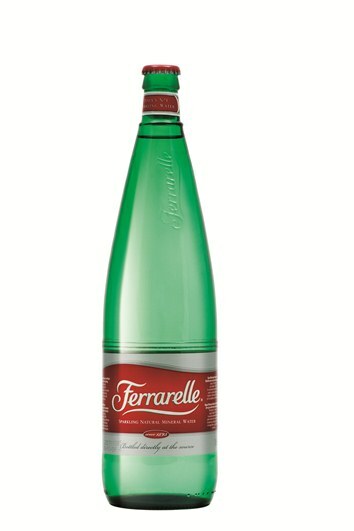 Kudos to Ferrarelle for creating a sparkling mineral water that is naturally delicious. It makes cocktails taste even better and pairs well with almost any first course dish, shellfish, and cheese you can think of. Even better, Ferrarelle is available nationwide in leading supermarkets including Whole Foods, Fairway, Dean & Deluca and many more regional stores.